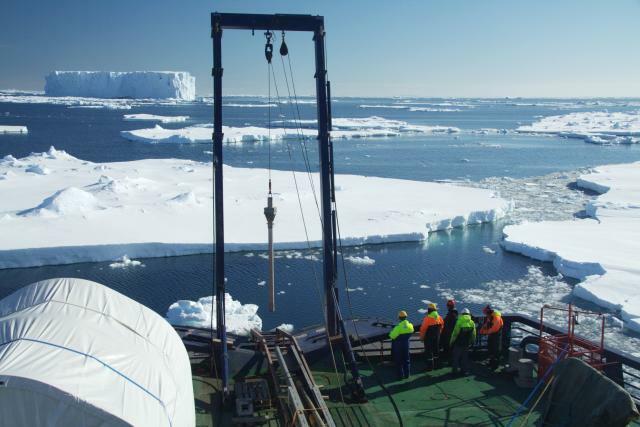 Taking a kasten core from the back deck of Oden in the Amundsen Sea. The kasten core is a devise to sample sediment from the seafloor. It is lowered to bottom with a cable and the weight on top of the core pushes the corer into the bottom.